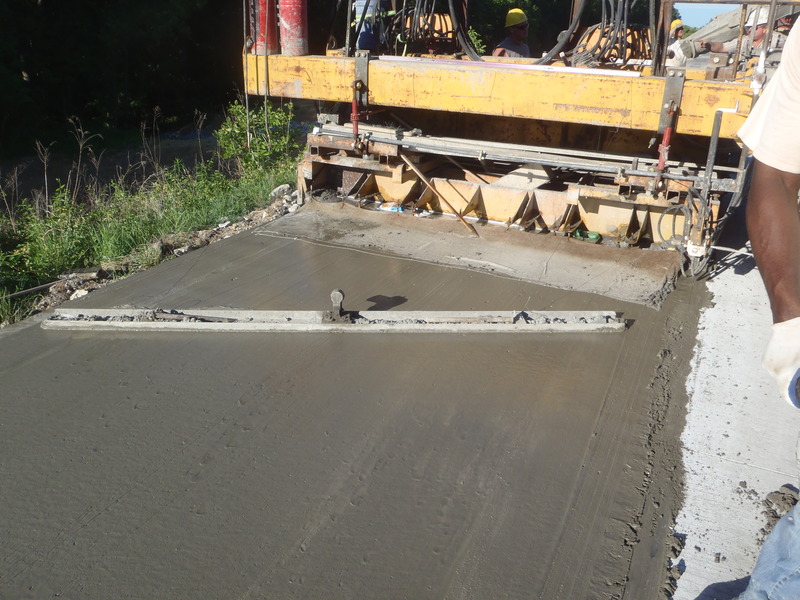 The project consisted of 350,000 square yards of 7" and 10" jointed concrete pavement along a 7.5 mile stretch of the Audubon Parkway in Henderson County, Kentucky. In addition to the concrete overlay of Audubon Parkway and 4 connecting ramps, the job required repairs to the KY 416 overpass as well as 10” JPC replacement within 1 mile of KY 416, grade and drain work, the construction of two temporary median crossovers, underdrain work, guardrail, maintenance of traffic and several other miscellaneous items. 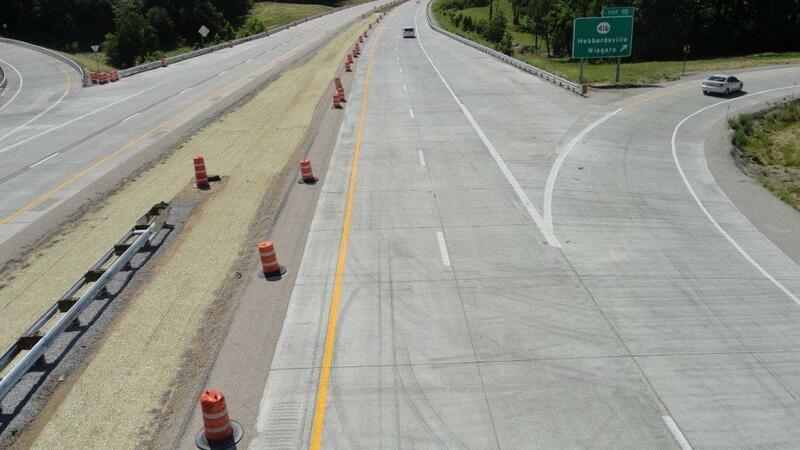 The project was split into seven distinct phases, three on the KY 416 overpass, three on the Audubon Parkway mainline, and one for the four entrance/exit ramps. The first phase on the mainline shut down the left lane in both directions of Audubon Parkway to allow for the construction of the temporary median crossovers. Once the crossovers were in place, the eastbound side was shut down and all traffic was moved to the westbound side of the highway. The eastbound side was completed in 2011. In 2012, the westbound side was shut down and traffic was moved to the newly constructed eastbound lanes so that the work on the westbound side could be completed. 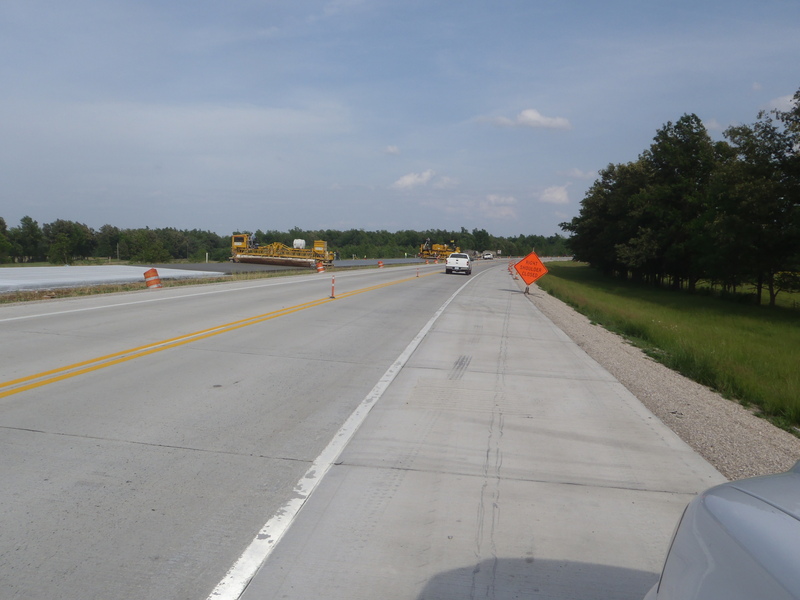 The first traffic phase on KY 416 phase required the closure of the bridge for jacking. 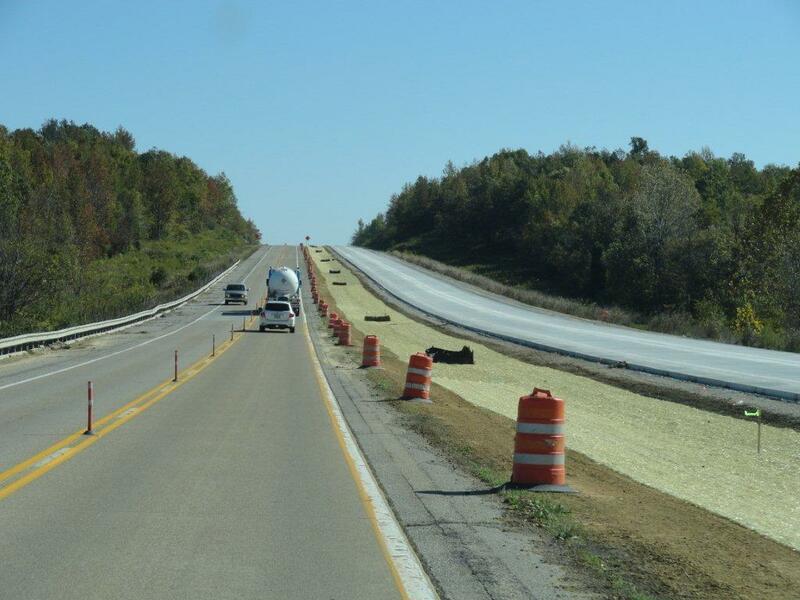 The second traffic phase on KY 416 restricted the bridge to one lane of traffic on what was the northbound lane of the bridge. A traffic loop was installed to maintain traffic across the bridge. 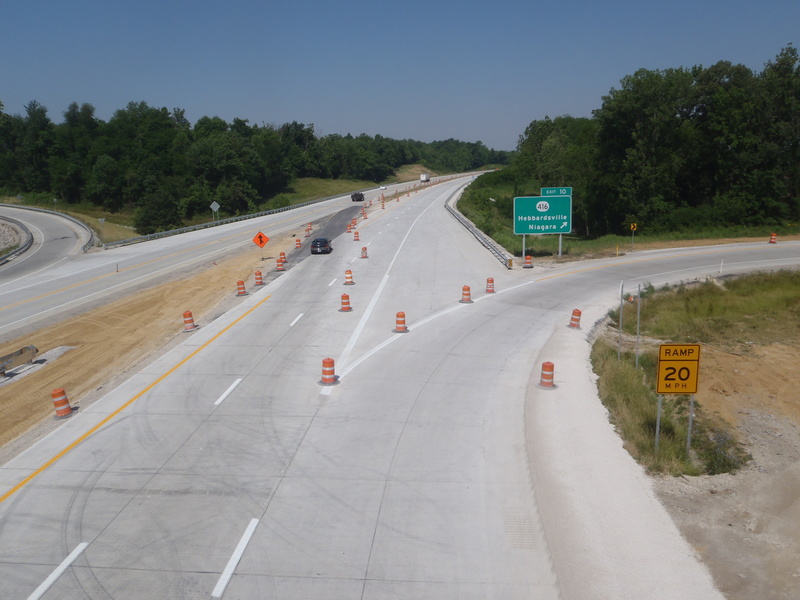 The third phase switched traffic to the southbound lane of the bridge for work to be completed on the northbound side. 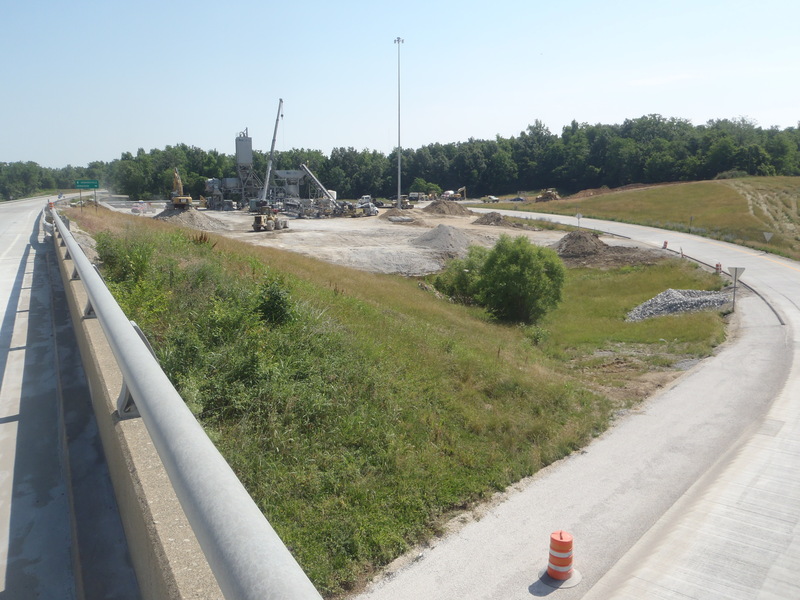 The project also required the four ramps connecting KY 416 and Audubon Parkway to be shut down from July 11 to August 1, 2011. 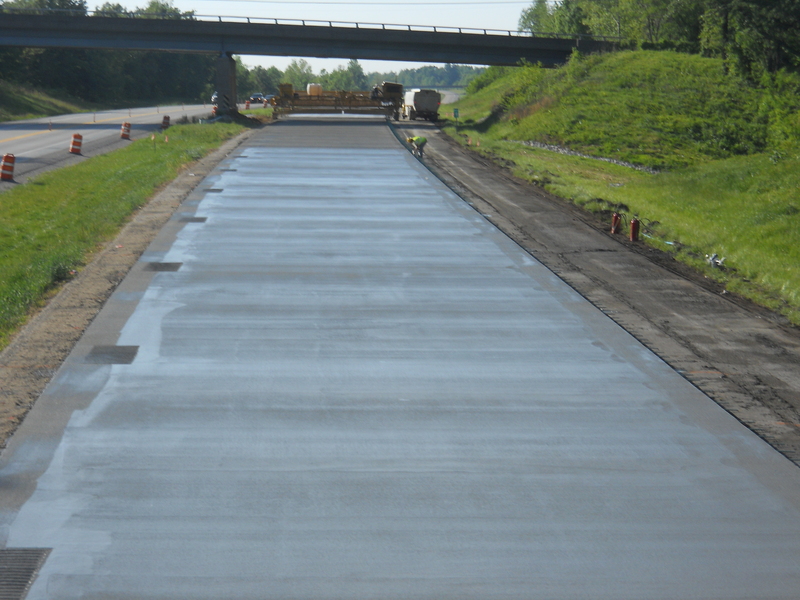 An unbonded overlay was first placed on the mainline and ramps, followed by a 1.5” asphalt surface and then a 7” JPC overlay. 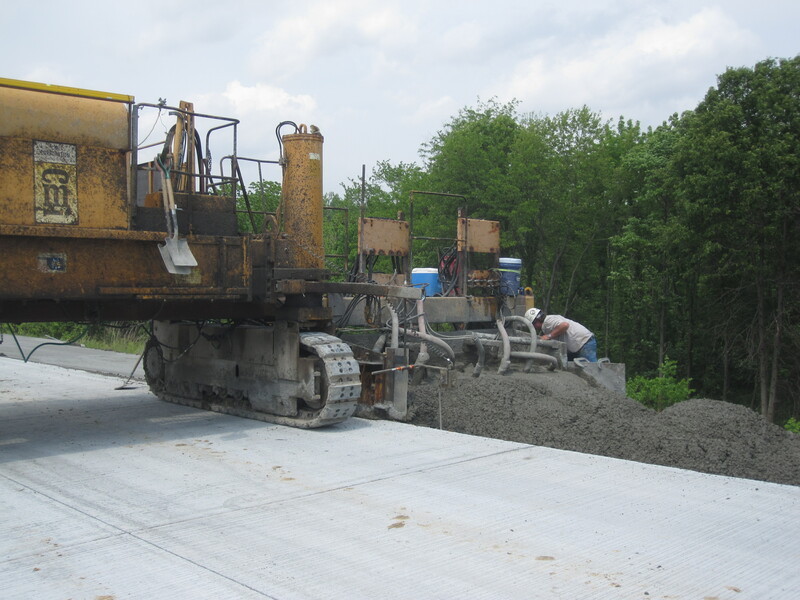 The mainline pavement was paved via a 28’ slipform paver, which consisted of the left shoulder and both 12’ travel lanes. Then the 10’ wide right shoulder was paved.